The successful realization of the E-40 waterway project, a little-known initiative to link the Baltic and Black Seas via a renovated system of canals, might be enough to disrupt Belarus’ delicate “balancing” act in favor of the West if its crucial Polish component is completed in the near future. 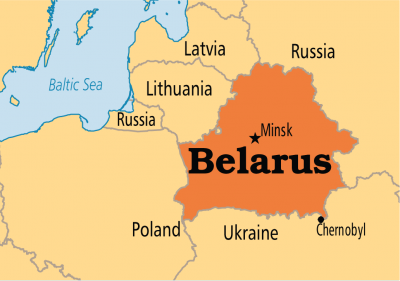 Although initiated back in 2014, most of the global media ignored this game-changing vision of regional connectivity, but an excellent analysis about its geostrategic implications was written by Siarhei Bohdan at Belarus Digest. The expert concludes that Belarus would be able to diversify its export routes to the global marketplace and therefore lessen its dependence on Russia. Given that this outcome would naturally have consequences for the course of the New Cold War, it’s worthwhile to take advantage of the attention that “EurasiaNet” drew to the E-40 and examine this proposal more in detail. The guiding concept behind this series of projects is to restore the Viking-era trade routes that used to run through the region over a millennium ago, thereby making it an indigenous European version of China’s famous Silk Road. According to the E-40’s official website, the main component that needs to be reconstructed is the canal system along eastern Poland’s Western Bug River between the capital of Warsaw and the Belarussian border city of Brest. Environmentalists object to the ecological impact that this could have on local flora and fauna, and they’re also equally worried about the smaller section that’s planned to run through southern Belarus’ pristine Pripyat River, too. Nevertheless, if these NGO obstacles can be surmounted – whether by ignoring their demands for rerouting part of the project or reaching some sort of compromise with them – then the E-40 is bound to revolutionize regional geopolitics. Taken to its natural conclusion, the E-40 would lead to the disruption of Belarus’ delicate “balancing” act, elaborated on in detail by the author in a piece for Global Research earlier this summer, and possibly even see the Eurasian Economic Union-member drift away from Moscow like Armenia is presently doing in order to explore a trade deal with the EU. It’s been immensely challenging for Russia to counter the West’s structural subterfuge of its peripheral partners (and in the case of CSTO and EAU members Armenia and Belarus, legal allies), and it’s thus found itself in a quandary over how to respond out of concern that ignoring this trend would be strategically suicidal while reacting too decisively could be equally counterproductive. As Russia struggles with this dilemma, Belarus’ wily leader Lukashenko is masterfully exploiting it to his advantage to reap more benefits from Moscow and Brussels. Over the past year, however, Lukashenko has also engaged in an informal rapprochement with neighboring nemesis Poland, which had hitherto been obsessively dedicated to his removal from office through its hosting of anti-government NGOs and consistent political opposition to his leadership in general. That evidently began to change after February 2017 when Lukahsneko began speaking out more forcefully against Russia, which the author provocatively addressed in his piece at the time wondering whether “Belarus Is On The Brink Of Pivoting Away From Russia”. The past 18 months must have been full of fruitful behind-the-scenes discussions between Belarus and Poland because of the three high-profile events and statements that just recently took place. The Polish Ambassador to Belarus met with his host’s Chairman of the National Assembly last month and publicly revealed that trade was up an astounding 21% over the past two years and that both sides will continue to invest in one another. Shortly thereafter, the Polish Investment and Trade Agency announced its eagerness to continue cooperating with Belarusian companies. Most surprising, however, was the Belarusian Defence Ministry declaring in late August that it’s holding consultations on regional and international military cooperation with Poland, NATO’s vanguard state in Central & Eastern Europe and the site of a planned US military base that’s riled Russia to no end. Belarus’ Polish pivot will probably also lead to it eventually joining the Warsaw-led “Three Seas Initiative”, a region-wide connectivity platform that basically functions as the 21st-century manifestation of the interwar “Intermarium” project for reviving Poland’s long-lost hegemony, as this would pair perfectly with any prospective Armenian-like EU trade agreement too. Lukashenko was likely emboldened by the fact that tiny Armenia and its new Color Revolutionary Prime Minister Pashinyan was able to clinch such a deal with the EU without any open Russian objections, so it would make sense that his much larger country and its much more “trusted” leadership would try to follow in Yerevan’s footsteps as it seeks to advance its interests by “balancing” between the EU/”Three Seas” and EAU blocs. As he might see it, this could make Russia reconsider taking his country’s “loyalty” “for granted”. It shouldn’t be overlooked that Poland is China’s top partner in the Central & Eastern European space, thus making Warsaw’s “Three Seas Initiative” of crucial interest to Beijing. Accordingly, China might decide to export some of the products from the China-Belarus Industrial Park that it’s building in Minsk, which is one of its main Silk Road nodes on the continent, along the E-40 for easily connecting with the Scandinavian and Black Sea regional marketplaces. The latter could also link up with the Trans-Caspian International Transport Route that China’s streamlining through the Caucasus and Central Asia and which was mapped out by the author in an earlier analysis about the global significance of the Via Carpathia initiative in Romania. This could in turn guarantee Chinese-Belarusian trade even in the event that Minsk’s relations with Moscow deteriorate due to its Westward pivot. For as apparently irrelevant as it might look at first glance, the successful renovation of the Polish canal system between Warsaw and the Belarusian border city of Brest could actually be a geopolitical game-changer in the Central & Eastern European theater of the New Cold War if it expectedly leads to Belarus binning its “balancing” act in favor of a more pronounced pro-Western pivot towards Poland, with all of the resultant implications for the Eurasian Economic Union, the “Three Seas Initiative”, and China’s One Belt One Road (OBOR) global vision of New Silk Road connectivity. The first-mentioned would be thrown even deeper into the dilemma that Armenia first made for it after that EAU-member state pushed forward with its own EU trade agreement if Belarus decides to follow suit, which would naturally facilitate Minsk’s partnership with the “Three Seas” and resultantly serve as yet another trade corridor for China. Russia is therefore left in a conundrum because it’s unsure of how to respond to this seemingly unexpected but not entirely unforeseeable scenario. Reacting too decisively risks “legitimizing” Lukashenko’s Westward pivot and serving as the tripwire for the EU to potentially offer Belarus a (Polish-led?) support package for relieving any adverse effects that could come from Russia curtailing valuable subsidies to the landlocked country, even if Moscow does so on what it claims is an unrelated and apolitical pretext. On the other hand, ignoring the reality of what’s unfolding risks “normalizing” Lukashenko’s pivot and implying that Russia is proudly subsidizing it for some inextricable reason. Either way, Russia’s “damned if it does and damned if it doesn’t” respond to Belarus, but regardless of what it may or may not do, the renovation of E-40’s crucial Polish canal component could proceed independently thereof and Moscow might not be able to do anything about its long-term geostrategic consequences.